Following our topic last month of Arthritis, this month we are going to focus on Rheumatoid Arthritis. 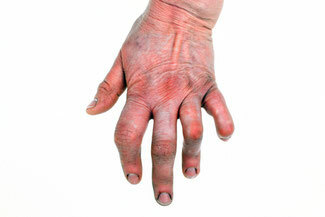 Rheumatoid Arthritis is an autoimmune disease that causes inflammation in multiple joints. The NHS advises that around 10 million people in the UK suffer with arthritis. The most common types are Osteoarthritis (OA) and Rheumatoid Arthritis (RA), with OA affecting around 8 million of people, and RA affecting 400,000 people. For more information on how we can help you with treatment, scroll to the end of this article or follow this link to chiropractic treatments available at TWC. RA is the second most common cause of arthritis in the UK. The symptoms of RA tend to come and go, with episodes of acute flare ups. It commonly presents as joint stiffness, joint pain, swelling and tiredness. The most common areas of the body affected are the wrist, fingers or ball of feet. Females are more than likely to develop the condition than men. Risk develops with age, usually starting in middle age. However it can occur in children and young adults. Family history - can result in an increase risk of developing RA. Suggested further reading: https://rheumatoidarthritis.net/causes/genetic-factors-and-family-history/). Smoking - Smoking can result in an increased risk to developing RA especially if there is family history of RA. Suggested further reading: https://www.ncbi.nlm.nih.gov/pmc/articles/PMC1754669/pdf/v062p00835.pdf). Environmental exposure - There is some uncertainty and insufficient evidence to support this. But it has been suggested that exposure to asbestos or silica may put an individual at a higher risk. The exact cause of Rheumatoid Arthritis is unknown, but it is a result of the autoimmune system attacking itself. A normal joint is surrounded by a synovial membrane which maintains the synovial fluid. The fluid nourishes the cartilage and lubricates the joint. Within a joint affected by RA the synovium becomes inflamed and produces more fluid, thus resulting in swelling and pain. The joint becomes red due to an increased blood flow, causing it to become warmer than normal. The pain within the joint is a result of nerve endings becoming irritated by the chemicals produced, and the joint capsule becoming stretched. When the inflammation decreases the capsule remains stretched and therefore becomes unable to hold the joint in its correct position, leading to the joint being unstable and deformed. Repetitive flare ups of the joints result in 'wear and tear' of the joint. Symptoms vary in intensity between individuals. When there is increased activity of the disease, individuals will experience a flare up and then they can go into periods of remissions. Deformities within the joints are usually visible. Joint stiffness. Particularly worse in the morning or periods of inactivity. Fatigue, fever and weight loss. In early stages the smaller joints are usually affected within the fingers and toes. In later stages larger joints can be affected such as wrists, knees, ankles, elbows, hips and shoulder. Most cases the disease presents in the same joint both sides. It can also occur in non joint related structures such as the skin, eyes, lungs, heart, kidneys, salivary glands, nerve tissue, bone marrow and blood vessels. The health practitioner will examine for any tenderness, swelling, redness, changes in temperature of skin, and assess the range of motion within the joint. They will also discuss your symptoms, followed by other provocative tests in order to help rule other causes out. Unfortunately there is no specific test to determine Rheumatoid Arthritis, as there are other conditions/causes that can result in stiff and swollen joints. Full blood count (usually used to rule out anaemia). Rheumatoid Factor and Anti-CCP Antibodies. About 50% of RA suffers will have a positive rheumatoid factor but about 1 in 20 people without RA test positive for the rheumatoid factor also. An antibody test, Anti-Cyclic Citrullinated Peptide (Anti - CCP) is available. People who are tested positive for this are very likely to develop RA but not everybody who has RA have this antibody. Imaging can be taken of the affected joint in order to assess the joint damage and level of inflammation. It also assists in determining the type of arthritis present, as well as monitoring the disease progress over time. X Rays - Looking for evidence for soft tissue swelling, osteoporosis, joint space narrowing and marginal erosion of bone. Ultrasound scans - Looking at the soft tissue presentations such as synovial damage, synovial inflammation, tenosynovitis or bursitis. MRI - Looking for evidence of cartilage thickness, cysts of bone or erosion's, inflammation, bone marrow oedema and joint effusions etc. Treatment for Rheumatoid arthritis is focused on reducing joint inflammation; relief of pain; preventing or slowing down joint damage; reducing disability and assisting with maintaining an active life. There is no cure for RA and it is important for early detection in order to provide early treatment and support such as lifestyle changes, medication, supportive treatment and surgery. If you have RA you will normally be cared for using a multidisciplinary approach where you will see different health professions. Disease- modifying anti-rheumatic drugs (DMARDs). These work by blocking the effects of chemicals released when the immune system attacks the joints. The most commonly used is Methotrexate. Common DMARDs used are: Methotrexate, Leflunomide, Hydroxychloroquine, and Sulfasalazine. Biological treatment is a newer form of treatment which is usually taken in combination with other DMARDs. They are usually given in injection form and stop particular chemicals in the blood activating your immune system to attack the joints. They include: Etanercept, Infliximab, Adalimumab, Certolizumab, Golimumab, Rituximab, Abatacept, Tocilizumab. 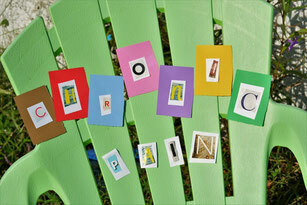 Pain relievers are commonly used in order to assist with pain management. NSAIDS - Ibuprofen, Naproxen, Diclofenac in order to assist with pain and help control inflammation. Corticosteroids - either in tablet form or an injections in the joint or muscle. Physiotherapy - to increase muscles strength, fitness and joint flexibility. Providing use of heat or ice packs and using a TENS machine. Occupational Therapy - to assist with adaptations required at home or in the workplace, and to provide recommendations for supports such as splints etc. Podiatry - If the feet are affected then recommendations of insoles or further treatment. Surgery is also used to restore the joint ability and can be used to assist with pain and correct any deformities present. Finger, hand and wrist surgery. Chiropractic can help to keep you mobile and help to keep you comfortable. Chiropractic does not have an impact on disease progression, but will work to mobilize joints, strengthen muscles and provide advice. During your session the Chiropractor will take a detailed case history, along with a full examination. Treatment will be on an individual basis, but the overall goal of treatment will be to create mobility into the joints, relax tight muscles, and stimulate weak/inhibited muscles, through specific exercises either in clinic or at home. 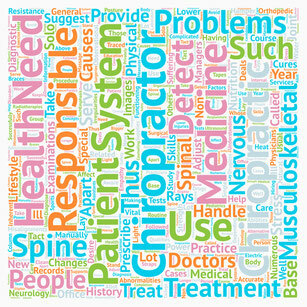 Your Chiropractor will also provide advice on self management techniques, home care, and ergonomic advice.